We walk the talk, and invest in creating better solutions when they do not already exist. Our products are rooted in solving “human challenges” using a mix of technology, user experience (UX), data, and design. Order Monitor allows ecommerce teams to keep track of their key performance indicators (KPIs) like orders, average order value (AOV), revenue, discounts, and more. 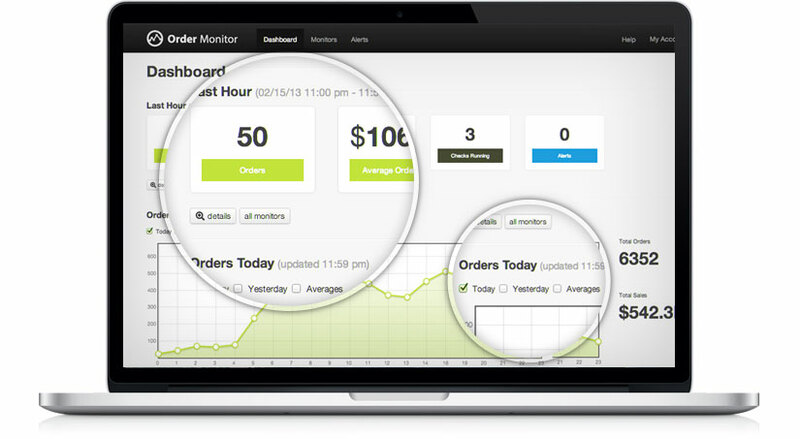 When something goes awry, Order Monitor sends alerts via email based on thresholds that you control. In addition to providing peace of mind, Order Monitor collects and aggregates your data, which allows you to compare and forecast trends. All of this data is viewable on our responsive web-based dashboard and sent to you daily via email. Currently available for Magento CE/EE and Demandware. ContestCore is a flexible platform for online contests and sweepstakes that was built specifically for brands and agencies. You get full design control within a microsite or Facebook so that you can easily run a photo, video, or text contest or viral sweepstakes. Platform pricing starts at $1,999.